DEFUNCT: Spanair never recovered from deadly crash. THE 2008 Madrid air disaster was decisive in the collapse of Spanair. After the accident in which 150 people died the airline lost around 20 per cent of its passengers and failed to win them back, found researchers from Sevilla and Castilla la Mancha universities. Passengers shun airlines after accidents that they consider were caused by negligence, said Jose Ignacio Castillo, who led the investigation. There was clear evidence that what the team described as a long-lasting Rainman effect influenced potential customers, he said. They were referring to the Dustin Hoffman film of the same name which cited Qantas as the only airline that has never had a fatal crash. This effect was particularly visible at Las Palmas airport, the destination of the Spanair flight which crashed at Barajas airport on August 20 2008. 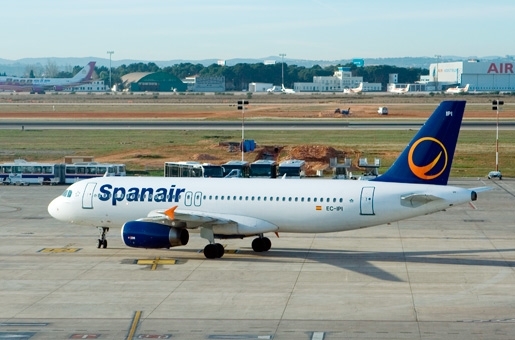 Spanair lost 29 per cent of its Las Palmas clients, although the number of passengers using the airport remained practically the same. They simply used other airlines, Castillo said. Empirical existence of the Rainman Effect is air travellers’ best life insurance, he pointed out, if it can motivate airlines to maintain aircraft correctly and ensure passengers’ safety. Previous articleSmart smiles! More families using phones for holiday snaps!